Based on: Wolverine by Roy Thomas, Len Wein, and John Romita Sr.
After reluctantly not wanting to watch Logan, I decided to finally watch it. After all these years, I guess, I have to know the end of it. Or at least, the final show from Hugh Jackman as the famous Wolverine. Things cannot go on forever and I guess this term suits for Hugh Jackman as Wolverine. As much as I love him as Wolverine, we have to face the time when he would retire as perhaps the most iconic X-men. I can’t believe he has done this role for seventeen years. It’s a bloody long time. There isn’t a time ever that I thought anyone could replace him. Ever. Hugh Jackman as Wolverine is somehow unreplaceable. I don’t think anyone can surpass or replace him. He’s just too epic. Perhaps there will a replacement, eventually, but I hope not in this near future. At least, give the fans some time to mourn his leaving.I have heard so many good things about Logan and yet I was reluctant to see it because they’ve been saying that this is the saddest Wolverine film. 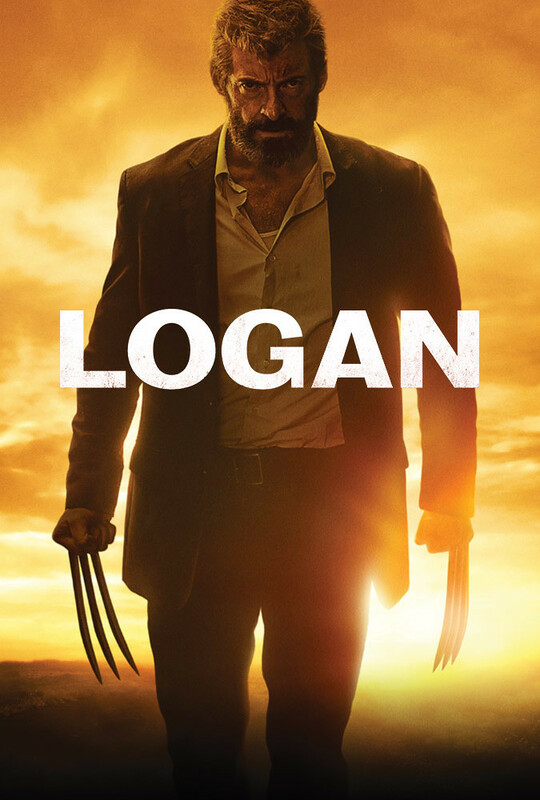 I have heard so many good things about Logan and yet I was reluctant to see it because they’ve been saying that this is the saddest Wolverine film. Plus, I wasn’t ready to say goodbye to Hugh Jackman’s Wolverine anyway. However, my curiosity got the best of me and therefore I decided to watch it. And yes, I don’t regret watching it. The film is very good. It’s sad but very good. The story took place in 2029 and somehow mutants are no longer there. They somehow nearly extinct and the old mutants that we knew somehow have gone. Only Logan, Professor Charles Xavier, and an albino mutant left. The story was set in a Dystopian future and took place in 2029 and somehow mutants are no longer there. They somehow nearly extinct and the old mutants that we knew were gone. Only Logan, Professor Charles Xavier, and an albino mutant left. At least that’s what we thought at first until they met what they called new mutants, including a young mutant called Laura who was very much like Logan. I’ve read some reviews that saying Logan is the best superhero film to date. As much as I want to agree with them, I can’t say that this is the best. It’s great, but not the best for me. First, because this is Hugh Jackman’s last film as Wolverine. I know I’m being subjective here but that’s the truth. Second, because Logan is brutal. I think this is the most brutal film from X-Men. I don’t know if you count Deadpool (2016) or not, but the X-Men films that I know were not this brutal. The rated R is no kidding at all. Hugh Jackman as Wolverine is amazing. I don’t think I have to say too much anymore. By now, you’ll already know that Wolverine is Hugh Jackman. Period. Now that his character is older, he looks more vulnerable and somehow broken. This is something new because Wolverine is always known as someone strong and now seeing him more broken is really new. Hugh Jackman definitely portrayed him really great. Well, what’s more to say to a guy who’s been playing the character for seventeen years anyway. He’s terrifically good. That’s it. No questions need to be asked. Although the character is a bit different since the character is older, Hugh Jackman really portrayed him flawlessly. With the help of makeup artists and CGI effect, they really made an older Wolverine perfectly. Even Patrick Stewart has done a great job in portraying an older Professor Charles Xavier and a more vulnerable one too. This film seriously has shown many new things including new vulnerable characters and new mutants. The surprising thing about Logan is the casting of Dafne Keen. I believe she surprised us all. From what I’ve read, Logan is her second film yet she has done a terrifically good job. I mean, she is just eleven or twelve years old. So young yet so good at doing all those actions and stunts. I really am amazed by her acting. Whether it’s acting or just doing stunts, She is proved that age doesn’t matter for someone to do great in her job. The overall story of Logan is pretty much unlike any other X-Men you’ve ever known. It’s definitely more brutal and more bloody. It’s dark, I have to tell you. Like I said, the R-rated is no kidding at all. If you’re against brutal scenes, I suggest you avoid watching this film. However, if you’re a fan of X-Men especially Wolverine, I think this film is worth it. I suggest you watch the film. The story is touching and very much unlike before. The action scenes are fantastic. The setting is dystopian future and they really captured it well. Even the background songs really support the film perfectly. Overall, Logan is a very good film and surely enjoyable even though it’s too brutal and bloody. On the other hand, I am still sad about the fact this is the last time Hugh Jackman will play the role of Wolverine. However, he has given us a fantastic performance and I think this film is worth to watch after all. Even Dafne Keen, as a new actress herself, has also given an amazing performance as well. I am pretty sure she will have brilliant future in show business. I give Logan 8 out of 10 stars.